Split is a 2016 American thriller and horror film which is directed, written, and produced by M. Night Shyamalan. Film stars include James McAvoy, Anya Taylor-Joy and Betty Buckley. James McAvoy as Kevin Wendell Crumb, suffers from dissociative identity disorder, who has 23 prominent personalities. Kevin’s body chemistry changes with each personality, resulting in his 24th and final personality, “The Beast”, being capable of exceeding human capabilities. The whole movie begins with Crumb kidnapping three girls, one of which who has the right precautions to stay alive, Casey Cook, played by Anya Taylor-Joy. While being held captive in an enclosed room with nothing but two beds and a bathroom, these three teenage girls have several different encounters with Crumb that eventually lead them to figure out his disorder. Casey Cook, throughout her entrapment, has recurring flashbacks from a traumatic event from her early childhood; fortunately, the these events give her an extreme benefit while being held captive. Split has now been added to my list of favorite movies; it captured my interest almost immediately and kept me on the edge of my seat throughout the majority of the movie. I strongly recommend seeing Split to find out the struggles these girls encounter and the dangerous possible twenty-fourth personality that could change everything. 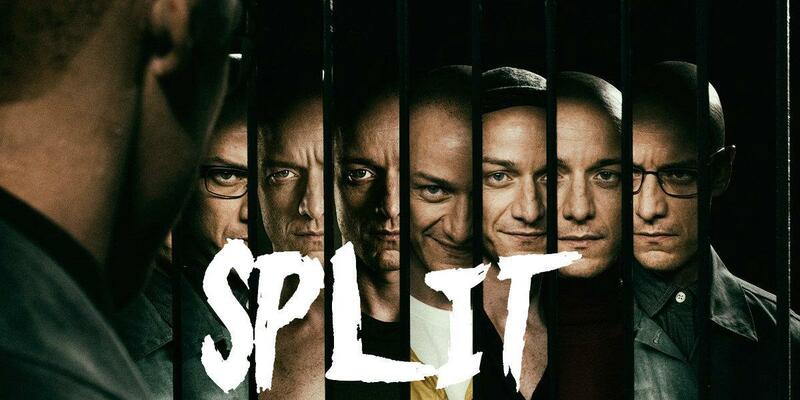 Overall, I would give Split 4 out of 5 stars for its intriguing plot and high quality acting.